Have you ever had some problem with your Insurance company you should first approach the insurer’s Grievance Redressal Mechanism as spelt out in the insurance policy document (link to the insurers’ grievance mechanism is available in this website at List of Insurers). 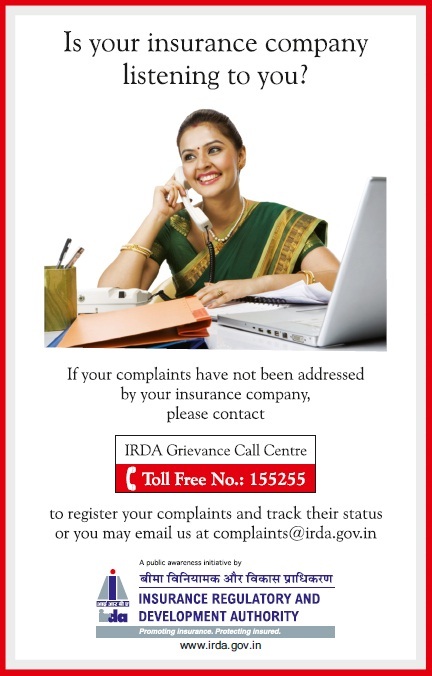 IRDA has lauched the Integrated Grievance Management System (IGMS). Apart from creating a central repository of industry-wide insurance grievance data, IGMS is a grievance redress monitoring tool for IRDA. Policyholders who have grievances should register their complaints with the Grievance Redress Channel of the Insurance Company first. If policyholders are not able to access the insurance company directly for any reason, IGMS provides a gateway to register complaints with insurance companies. Complaints shall be registered with insurance companies first and only if need be, be escalated them to IRDA (Consumer Affairs Department). IGMS is a comprehensive solution which not only has the ability to provide a centralised and online access to the policyholder but complete access and control to IRDA for monitoring market conduct issues of which policyholder grievances are the main indicators. IGMS has the ability to classify different complaint types based on pre-defined rules. The system has the ability to assign, store and track unique complaint IDs. It also sends intimations to various stakeholders as required, within the workflow. The system has defined target Turnaround Times (TATs) and measures the actual TATs on all complaints. IGMS sets up alerts for pending tasks nearing the laid down Turnaround Time. The system automatically triggers activities at the appropriate time through rule based workflows. 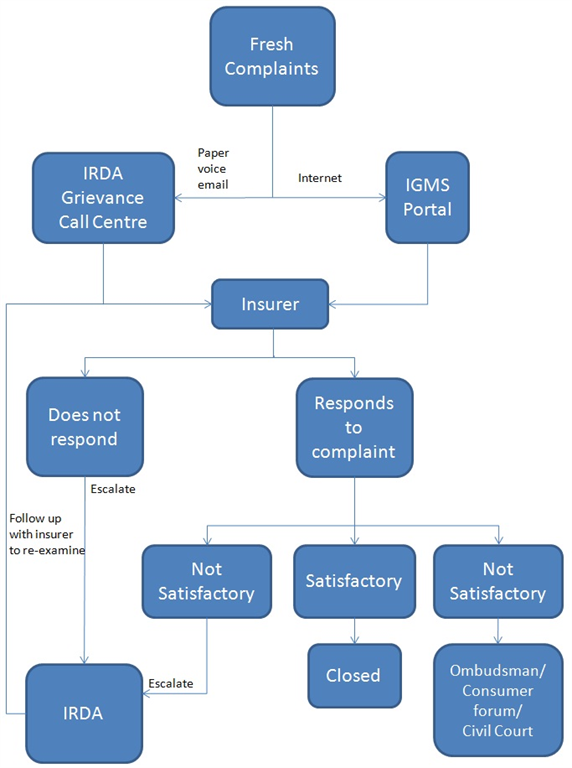 A complaint registered through IGMS will flow to the insurer's system as well as the IRDA repository. Updating of status will be mirrored in the IRDA system. IGMS enables generation of reports on all criteria like ageing, status, nature of complaint and any other parameter that is defined. How do you use IGMS? You can make best use of this system by giving accurate information about your complaint like the policy number, name of the insurer and your contact details. A policyholder can make optimum use of this system by giving accurate information about the complaint like the policy number, name of the insurer, complainant’s contact details etc. It would be useful to keep the policy document ready while registering the complaint online.